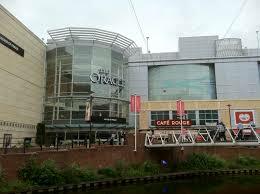 Propelair have just finished installing an additional 28 toilets at the Oracle Shopping Centre in Reading, making a total of 43 Propelair toilets now installed at the site. Propelair is the perfect choice for shopping centre washrooms due to the high volume in washroom traffic and water usage. By installing our low flush toilets, our customers achieve significant savings in water and money, reduced maintenance requirements and improved hygiene benefits.